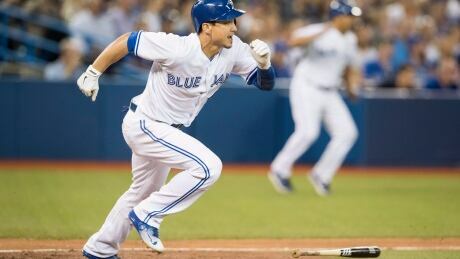 The Toronto Blue Jays beat the New York Yankees for a second straight night to secure a home series win against their divisional rival. New York's GM saw firsthand the mistake the Texans made with Matt Schaub, a situation that has similarities with Fitzpatrick. IRVING, Texas (AP) -- The Dallas Cowboys have signed two more draft picks in quarterback Dak Prescott and defensive end Charles Tapper, leaving one unsigned rookie two weeks before minicamp. 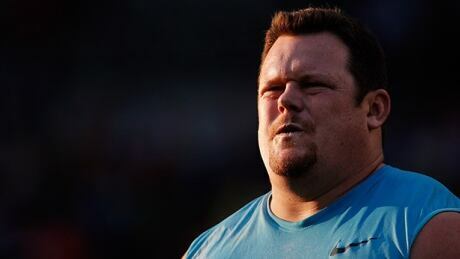 In a statement emailed to the CBC, Canadian shot putter Dylan Armstrong responded to the news that his wife, Russian Olympian Evgeniia Kolodko, tested positive for a banned substance. Going into his second season, wide receiver J.J. Nelson is making a case for an increased role in the Cardinals' prolific offense. Nelson, a fifth-round draft pick in 2015, has impressed in the organized team practices this month. ''Now I can just go out and play fast,'' Nelson said. Defensive back Walter Thurmond is the latest NFL player who decided to walk away from the game and millions of dollars seemingly in the prime of his career. According to multiple reports on Tuesday, the former Philadelphia Eagles safety is retiring at age 28 after six professional seasons. ESPN reported that Thurmond said he no longer wants to play football and is interested in pursuing other opportunities. Derek Carr surveyed the red zone defense, called an audible and ran a quarterback draw into the end zone. It's still only OTAs, but having a year in coordinator Bill Musgrave's offense under his belt and having most of his starting offensive players back this season is paying big dividends for Carr and the Oakland Raiders. ''Everyone celebrated and it was awesome,'' Carr said Tuesday. Tom Brady has added more high-profile legal power to fight his ''Deflategate'' suspension. The AFL-CIO filed a friend of the court brief on Monday asking the 2nd U.S. Circuit Court of Appeals to reconsider a decision handed down by a three-judge panel in April. Also weighing in: Kenneth Feinberg, who helped divvy up the funds for Sept. 11 and Boston Marathon bombing victims. Buffalo Bills offensive tackle Seantrel Henderson is ready to resume his career after an offseason in which he had two operations on parts of his intestines to reduce the effects of Crohn's disease. The player's agent, Alan Herman, confirmed to The Associated Press on Tuesday that Henderson is preparing to travel to Buffalo this week following one final checkup scheduled on Wednesday at the Mayo Clinic in Minnesota. ''He's going to be able to play football,'' Herman said. 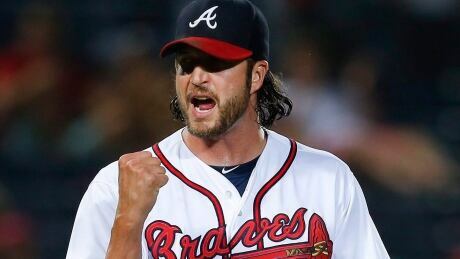 The Toronto Blue Jays completed a deal to beef up their bullpen, acquiring 39-year-old pitcher Jason Grilli from the Atlanta Braves. You are currently browsing the Sportspool.com Sports News blog archives for May, 2016.